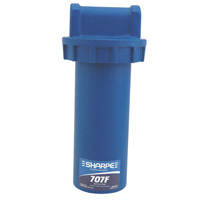 The 707F removes oil and water contamination. Disassemble and clean the filter without tools. Features a large reusable filter element.